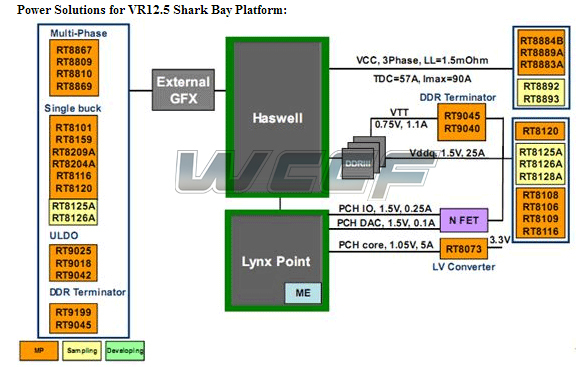 Remember Intel’s FIVR (Fully Integrated Voltage Regulator) innovation that was something of a hype back before Haswell was released? Well we have just received some technical documents which suggest that Intel is abandoning the FIVR design. Alright, lets begin with the FIVR first. The Integrated Voltage Regulator was thought to be a mini-evolution in die design with in-house voltage regulation, providing more efficient power to the processor. And initially tests did seem to indicate that it is a tad more efficient. 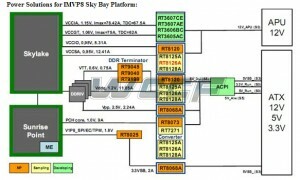 However Blue has decided to ditch the IVR starting from its Skylake Processors. So far, it is not clear why Intel is choosing to turn back the wheel and adopt the classical voltage regulation system for Skylake processors. Observe the slides below. 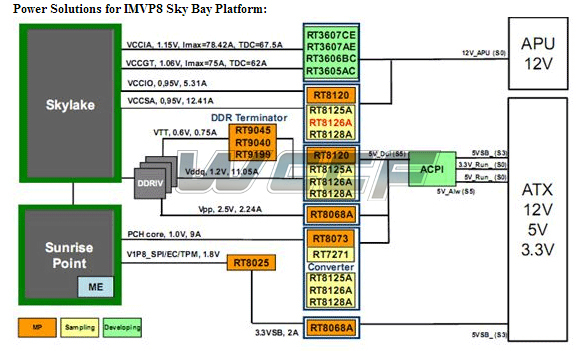 The first slide on the left shows the Haswell voltage regulation diagram while its counterpart shows the same for Skylake. Notice the movement of the PCH and CPU from the center to the left and the removal of the VCC line, that is the restructuring to revert back to the old power design. So that is a very interesting development and hints that the IVR probably doesn’t justify its expense. Amusingly, having just recently demoed the Devil’s Canyon flagship processors at Computex and hosted OC Competitions, Intel attributed much of the rock solid stability of the CPUs in question to the IVR inside the die which allowed precision control of the voltage supplied to the CPU. So the question is, if its that great, why is Intel leaving it behind?